Last year, Tenzuka Productions brought us a lovable slice of life anime that followed the story of Kaoru, an honours student who suffers from Social Anxiety. 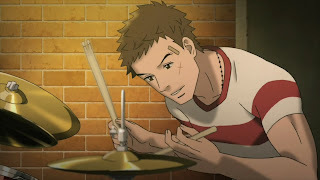 When he moves to Kyushu and starts attending Higashi High School, he meets the notorious "bad-boy" Sentaro and together they form a bond through their mutual interest in music. When Sentaro helps Kaoru loosen up and be more comfortable around other people, relax and start to enjoy life, Kaoru soon realises he has developed feelings for Sentaro's childhood friend, Risuko. 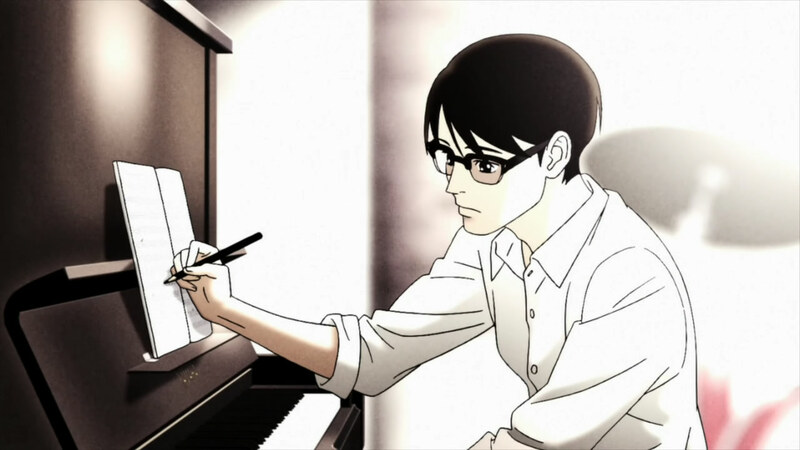 Sentaro introduces Kaoru to the world of jazz where they play in the basement of Ritsuko's father's record shop. 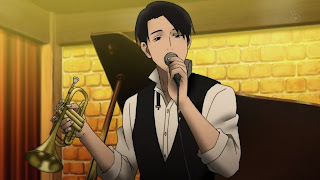 Going from classical to playing jazz turns out to be quite a learning curve for Kaoru, but determined to rise to the challenge Sentaro sets before him, he soon feels right at home playing music his family would be horrified to know he performed. With friendships growing, Kaoru pursues his love for Ritsuko while Sentaro takes an interest in Yurika, a senior from a prestigious family they meet on the beach one day. 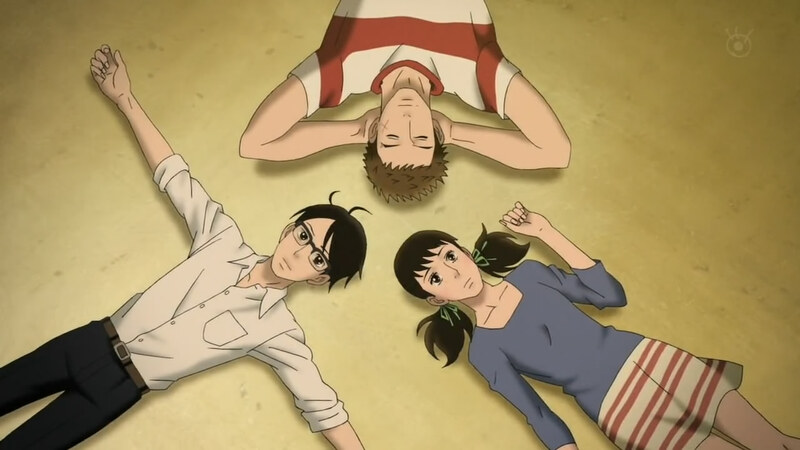 But regardless of what feelings they may have towards the girls, winning their hearts would be anything but easy, especially when Ritsuko implies that her interest in Sentaro goes beyond childhood friends, and Yurika ends up falling for Sentaro's best friend and fellow jazz player, Junichi. The anime is set back in the era when jazz was at its peak and vinyl was still a popular format, and if that didn't place the setting firmly in your mind, then mention of the Sound of Music being newly released during an episode of the show and the song, My Favourite Things, being all the rage at the time. I found it quite interesting to hear the famous song performed by the characters of the show, and was also pleased to see the mentions and tributes given to famous artists like Art Blakey, Bill Evans, Chris Conner, and even some rock slipping in there with mention of The Beatles. The setting and depth to the show is quite amazing. And so is the background to the characters, especially the support character, Junichi, who by the end of the show becomes quite the central figure in one of the story arcs. While the protagonist, Kaoru, still leaves much to be desired in the ways of character development -- by giving us glimpses into the expectations placed upon him by his family, and the social criticism given by his sister, which is never really integrated fully into the story -- we see much going on in Sentaro's past and how it effects Ritsuko. 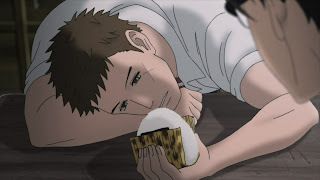 By several episodes into the story, we start to see that Sentaro's reputation as the local "bad-boy" is misplaced, and in reality he struggles to take care of his big family in his father's absence, taking on the role of caring for his siblings while his father works abroad. While the characters certainly act realistically in the show -- none of the over exaggerated shyness and comedy you would typically find in a romantic anime -- I couldn't help but feel a bit cheated on the outcomes of the story arcs, leaving me wanting more, and knowing I wasn't going to get it. While the show had a lovable ending, I felt that it could have done with an extra 12 episodes and gone much further with Kaoru and Ritsuko's relationship and how it effected Sentaro. I also couldn't help but feel sorry for Sentaro throughout the story when his interest in Yurika, and later, Ritsuko, met with complete rejection. There were also moments when Kaoru annoyed me, especially once Ritsuko realised her true feelings for him, yet his response to her advances ended up being quite bitter. Once again, the reactions and development of the story felt natural and well written but I wasn't satisfied with the way it ended. Saying that, I've yet to be satisfied by any romantic anime to date, and that appears to be an issue I'm never going to win. Overall, Kids on a Slope is definitely one of the better anime of last year, and certainly worth watching. It also features one of those musical intros that are so catchy you can't help but listen to it all the way through every single episode.